You may have seen us post about a local band called PonyHomie, but if you haven’t had the chance to actually see them in action yet, tonight would be the night to do it. 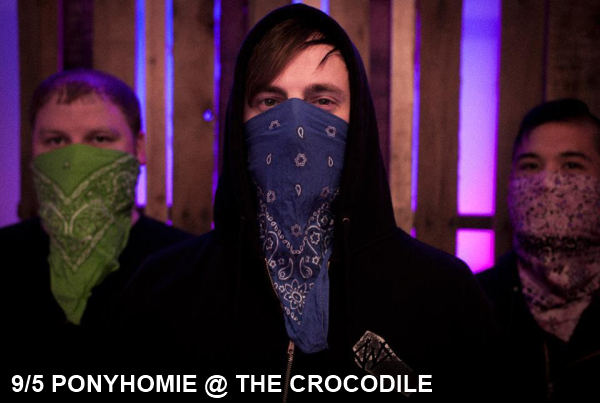 Grab your bandannas and your dancing shoes, because PonyHomie is playing tonight at the city’s famed Belltown venue, the Crocodile. The Seattle trio creates synth-drenched pop with eerie vocal effects – a perfect dichotomy of raw, dark tunes that make you want to dance the night away. PonyHomie is playing with Fort Lean and Lazer Kitty, rounding out one of the best nights in music this week.